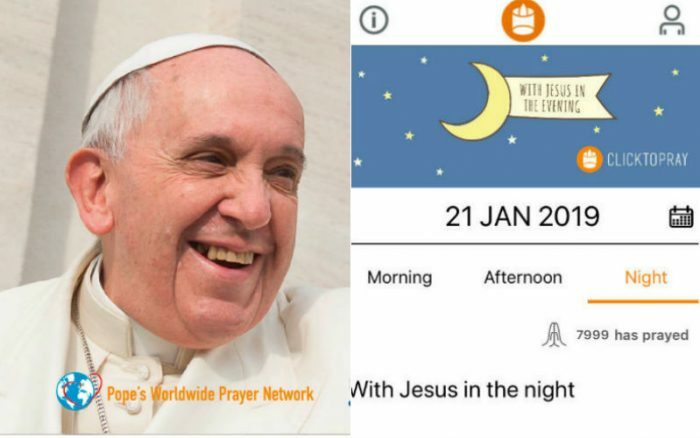 Pray With Pope Francis on the New “Click to Pray” App–Preview it Here! 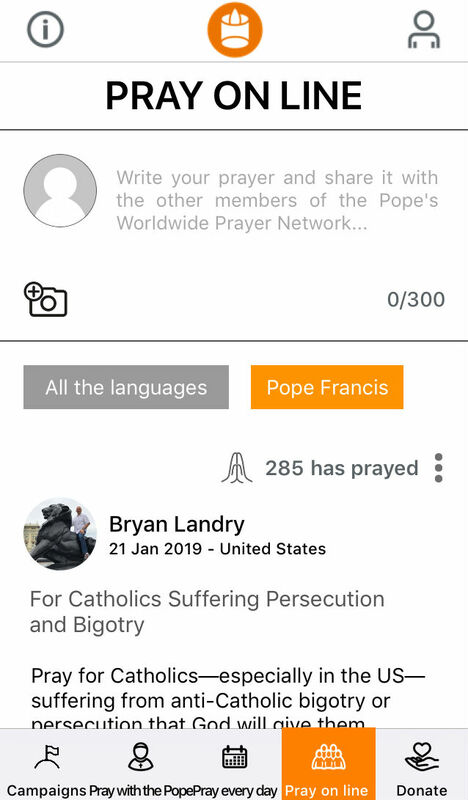 Pope Francis invites you to pray with him with the new “Click to Pray” App, recently launched by the Pope’s Worldwide Prayer Network (Apostleship of Prayer). 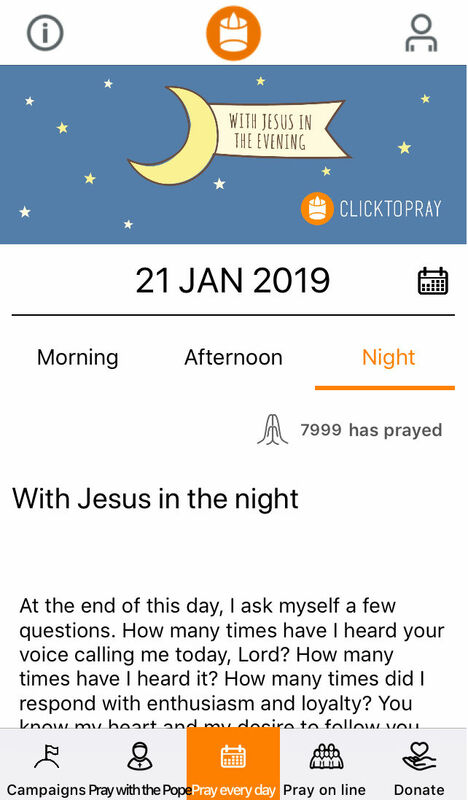 The new app, now available for Android and iOS, offers several ways to pray. 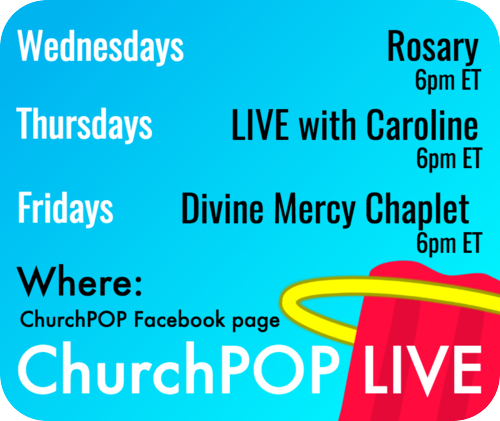 You can pray with people from around the world in an online community! There are three sections: Pray with the Pope, Pray Every Day, and Pray Online. Below are brief descriptions of the app, along with screenshots. 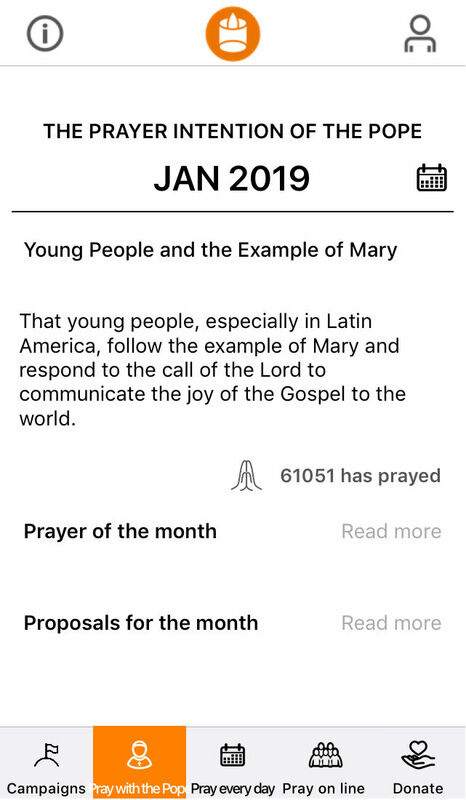 This section invites you to pray with Pope for his monthly intentions. This section offers daily morning, afternoon, and night prayers. This section allows you to post your prayer intentions in an online message board. Click to download the app for iOS or Android. 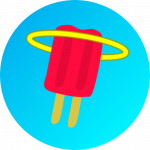 You can also interact with this app on the official website. What do you think of the new app?